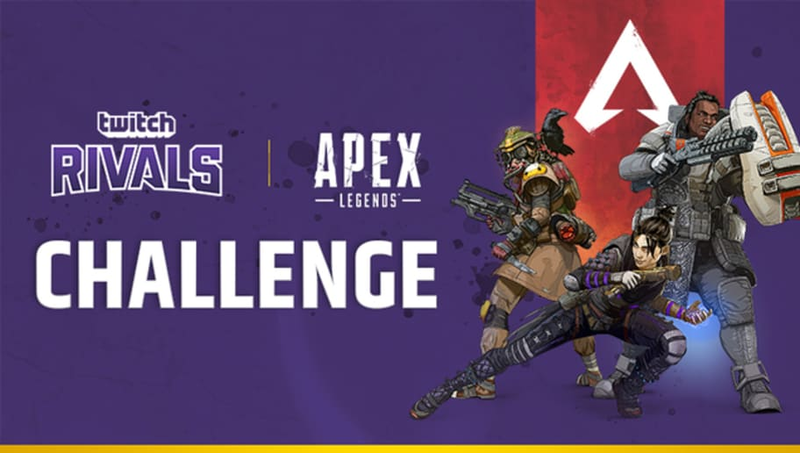 Apex Legends Twitch Rivals Tournament: Can You Sign Up? Apex Legends Twitch Rivals tournament is a new tournament by Respawn Entertainment and Twitch. Players looking to put their skills to the test in the latest Twitch Rivals tournament will have the opportunity to do so when the event goes live Tuesday. Here is how to sign up. At the time of writing, there doesn't appear to be a way for casual fans to sign up for the tournament. Although the Twitch Rivals event is listed on Smash.gg, there is no option to sign up with a team of players or as a solo player. There is no information on whether or not sign-ups will be available for other players interested in participating or if the Apex Legends challenge will be limited to Twitch streamers -- though more information will likely be released before the event goes live. The Apex Legends tournament will be the first tournament for the game, which launched less than a week ago. Twitch and Respawn Entertainment announced an Apex Legends Challenge will be held Tuesday with some major Twitch streamers.